RENO, NV, July 14, 2017 /24-7PressRelease/ — Whole Foods Market’s 45 stores in northern California and Reno will donate five percent of its sales on Wednesday, July 26, to fund entrepreneurship grants for a select group of small businesses in the region. Tahoe Trail Bar, vegan snack bars cherished by outdoor enthusiasts, is one of the organizations chosen to receive the coveted grant. For more information on Tahoe Trail Bar, visit www.tahoetrailbar.com. “We plan on maximizing our use of the money provided to further our relationship with Whole Foods and to get more of our delicious bars out there,” added King. 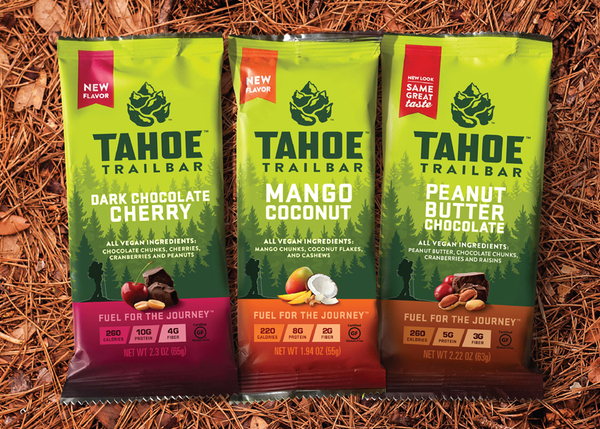 Tahoe Trail Bar started in a small coffee shop on the southern shore of Lake Tahoe 22 years ago and recently added two new flavors, dark-chocolate cherry and mango coconut. Wes King and the team at Tahoe Trail Bar have been working to win the Whole Foods Local Producer Grant for several years. “We are very proud of our Reno-Tahoe roots and want to share our bars with more people. You can help us do that by shopping at a Whole Foods near you on Wednesday, July 26,” added King.